Es gibt immer wieder Stimmen, welche #customerService als Kostenfaktor bezeichnen, welcher sich nur schwer rechnet. Auch in Bezug auf #Qualität wird oft erwähnt, dass man diesen Aspekt überbewertet, da Qualität nicht immer messbar sei. Ich bin jedoch sehr froh, dass es aber auch den Beweis gibt für das Gegenteil. 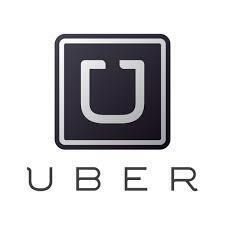 Uber has quickly become one of the hottest startups in the technology sector. The car service company just arranged low-cost financing to help add 100,000 cars to its fleet; revenues are growing by 20% monthly; So what’s driving Uber’s success? Great service and an innovative pricing strategy. One of the first benefits I noticed when using Uber is its consistently great service. Drivers often welcome passengers with a bottle of water or even hard candy – a nice touch. Of course, drivers have an incentive to provide great service because at the end of each trip, passengers rate them on a scale of 1 – 5 (with 5 being the best). Uber drops drivers with low scores – market incentives tend to yield better service than the “who else are you going to use” attitude often associated with regulated monopolies such as taxis. Uber’s dynamic pricing strategy effectively turns taxis into sitting ducks. During high demand periods, taxis charge the same uniform fares as they pass by eager would-be passengers who would have paid more for a ride. And during times of low demand, taxis constrained by regulated prices desperately cruise the street seeking customers or idly sit at taxi stands. Uber instead lets the market rule and drops prices. This discounting steals customers from taxis and, just as importantly, attracts new customers. This walk down the demand curve entices customers who otherwise might not have used a taxi or car service. This is the beauty of a smart pricing strategy – it captures value from customers who are willing to pay the most (reaping higher margins) as well as uses discounts to generate growth. By being innovative with your pricing strategy, just like Uber is, you have the opportunity to make your competition sitting ducks. Was lernen wir daraus? #customerfocus – #nachhaltige_Preisstrategie – #Qualität – #customerexperience – #customerservice sind nicht nur Schlagwörter, sondern die wichtigen Schlüsselerfolgsfaktoren.